All prices are in Canadian dollars. We use the total number purchased (ELM630P + ELM630SM) for the calculation. LIN or ‘Local Interconnect Network’ is a low cost and relatively simple networking system that is used predominantly in the automotive world. Recently, it has been gaining in popularity, with proposals to use it in major appliances as well. For more information, visit the LIN web site (http://www.lin-subbus.de/). 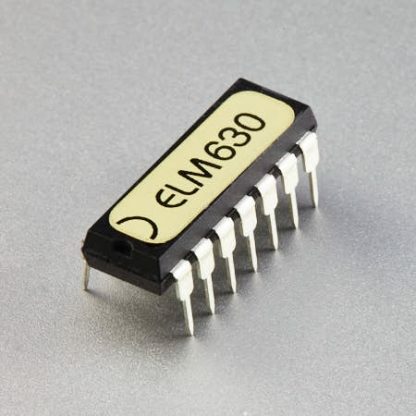 The ELM630 is a monitoring device designed for troubleshooting LIN bus systems. It is capable of continually monitoring a LIN network, translating the LIN messages to standard ASCII characters, and re- transmitting them to an RS232 system (personal computer or PDA) for display and possibly analysis. The baud rate measurements, data formatting, synchronizing, and checksum calculations are all done for you by the ELM630. The LIN specification has recently been updated to revision 2.0, incorporating several improvements. The ELM630 has been updated to be compatible with this new specification, as well as the previous ones.